Plans to turn former gravel workings near Radley in Oxfordshire into a wildlife haven have taken a step forward with land-owners RWE npower appointing the Northmoor Trust as wildlife partners. 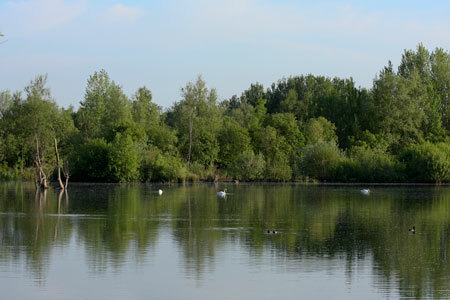 Thrupp Lake , part of the Radley Lakes , was originally to be filled with ash from Didcot Power Station and restored to countryside but will now have a future as a lake, wildlife habitat and green space. The Northmoor Trust was chosen from a number of organisations who were asked to put forward proposals for the area. A committee including representatives from Didcot Power Station, Radley Parish Council and npower’s ecological consultants, Bioscan, made the decision. 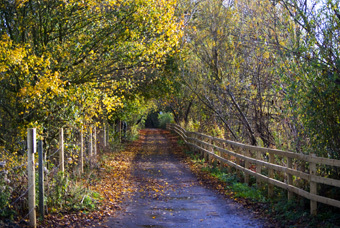 The Northmoor Trust has been asked to draw up a detailed proposal for the area by the autumn with the intention of the plans being implemented early in 2010. Later this month, npower will start some preparation work on site. A three foot wooden post and rail fence to mark the boundary of the land will be put up, as agreed with Radley Parish Council, but will not affect public access on to the land through existing routes. At the same time, the fence erected to prevent newts returning to the lake will be taken down so that newts can once again populate the area around the water’s edge. The fence had been put up to protect the newts as part of preparations for filling the lake with ash. “Radley Parish Council welcomes the proposed partnership with the Northmoor Trust and looks forward to working with them through the Parish Council’s representative on the management team for Radley Lakes. on 1 November 2009, showing the new fence(s).